Me Now: My mommy loves me. Um, Hi. I’m New Guy. The lady said I have this ‘Blog’ homework since I’m the first baby. She also says I’m a lot like my aunt Fairy Dust, who did the last blog series because I’m pretty outgoing. If anyone noticed that the Three Amigos never did a babywatch blog last summer, they are correct... the lady told me those three were always too busy with sports and couldn’t do the Blog. They were sorta like ‘party boys’ also. They were Flakey. Now I’m stuck with it, but I don’t mind because I am way smarter than those guys anyways. 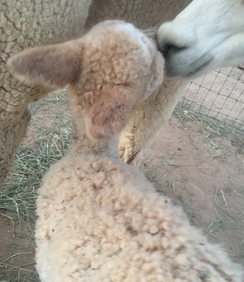 So, a little about me: I was born today on day 336 of gestation. 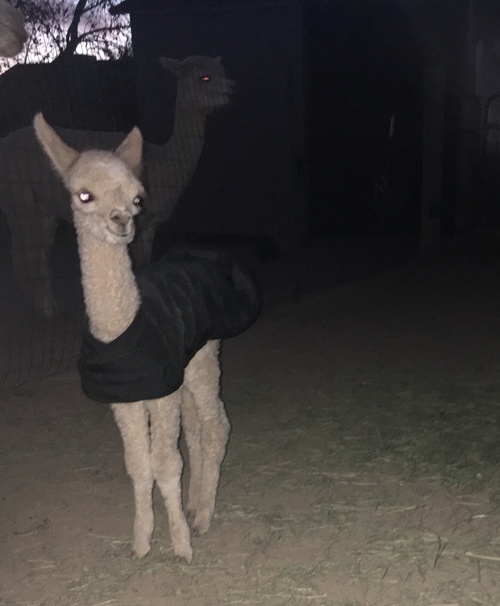 I weigh 14.8 lbs and am a ‘Light Fawn’ alpaca. I like sleeping and walking by my mom and a thing called the milk bar, I like moonlit nights and Im a Scorpio.... Oh, wait. Sorry, I guess this isn‘t a dating profile. Nevermind I’m too young for that. Ok, so first I need to address the uniform here. I am a little mad. What THE HECK is this Dumb Baby Pajama thing she just put on me? 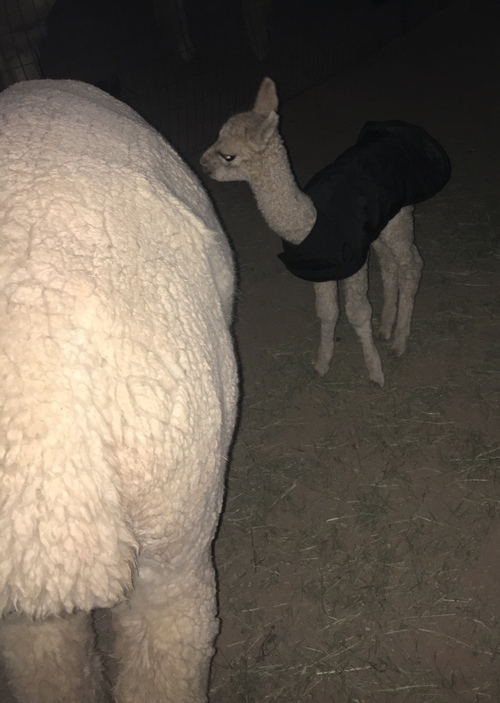 I am a special bright and shiney ‘Lt Fawn’ not just boring white so I really think the lady made a huge mistake slapping this black thing on me. I Will be reporting this tomorrow when the office opens. Oh, where is the office here? The rest of my first day was spent with my mommy. I have the Best Mom in the world! She loved TSwift when she was my age so they named her Shake It Off. My mom has a famous dad named Levi’s 501 - he lives in New York now. The lady says I look just like my other grandpa tho- he is PC Running Late. He has hundreds of babies because he is so awesome. She has been talking about him all day.... because ‘I look JUST Like a Running Late baby’! Blah blah blah.... whatever Lady. So Im hopefully going to have a friend tomorrow... then there will be others next week. Im hoping there are some other guys that are cool like me so we can run around together. The lady says she doesnt care what they are, they just need to come out easily like Superman with their arms and head flying out in the right direction.... I guess the last baby here didn’t read the manual and came out backwards or something. We’re way smarter than that now in class of 2017. I think. What The.....Just WHAT is this dumb black thing? !